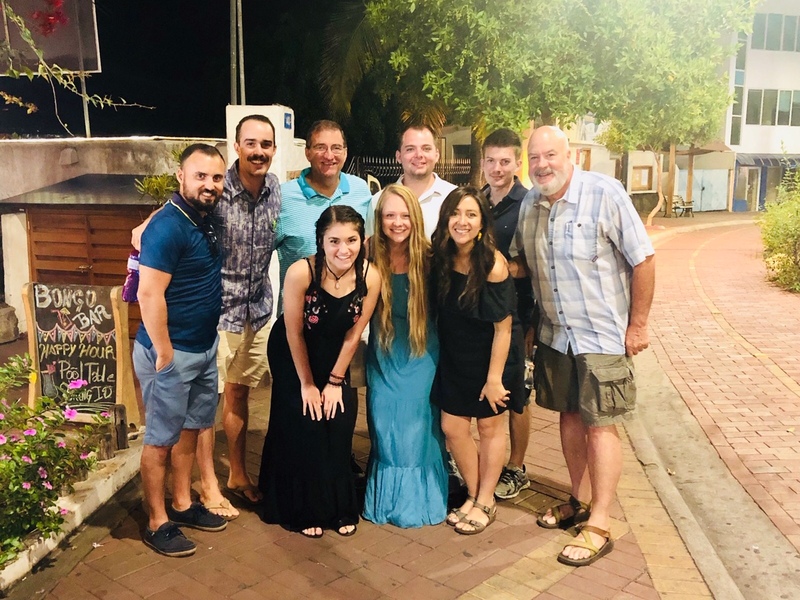 With the help of faculty advisor and professor Dr. George Young, budding entrepreneurs in Liberty University’s ENACTUS club are striving to make a difference in Ecuador and the Amazon through business projects and partnerships. Young and six business students traveled to Ecuador and the Amazon through LU Send Sept. 28 through Oct. 10. While abroad, they spent a period of time working with Antioch Christian School in the Amazon jungle. While the team visited the school, they helped create business plans for the faculty to sell produce internationally to help raise funds for the school. While Antioch Christian School continues to educate children in the Amazon, it has become clear there is a gap in funds. The ENACTUS chapter at Liberty is working with Antioch Christian School to provide additional funding. Through fundraising, the club is hoping to populate Antioch Christian School’s nearly 50-acre farm with banana trees to feed students and school employees and, eventually, purchase a pig for the school. “The amount of sacrifices that they’re doing to keep that school running. … It’s just amazing what they’re doing down there,” Matthew Vinagro, one of the six students who attended the trip, said. Liberty students have the opportunity to aid the ENACTUS club in its mission to provide funds for Antioch Christian School during a fundraiser at Convocation on Nov. 9. The money collected will help purchase banana trees for the farm at Antioch Christian School. According to Young, the Liberty chapter of ENACTUS is working to live out this mission in the form of projects focused on agriculture and sustainability. “We believe investing in students who take entrepreneurial action for others creates a better world for us all,” the ENACTUS’ mission statement says on its website. Antioch Christian School was founded by two Ecuadorian Liberty graduates who saw the need of seven children in the Amazon jungle who had no caretakers, and therefore, could not enroll in any of the other schools in the area. They began homeschooling the children, and as families in the surrounding villages witnessed this, they started asking if the pair could educate their children as well. “The school is phenomenal, and our Lord and Savior is alive and well there,” Young said. Antioch Christian School now has 120 children enrolled from villages all over the Amazon jungle. Some students come from deep within the jungle, and their parents will row them to school via canoe. This trek can take up to two hours, and according to Young, the parents will often leave their kids at the school during the week and return for them on Friday. During the team’s trip, they briefly interacted with some of the school children, watching as they ran around in their khaki pants and blue uniform shirts. “I thought I was at (Lynchburg Christian Academy) in the middle of the jungle,” Young said. Vinagro had originally heard about the trip through LU Send and attended the trip to receive course credit. Before the trip, he was not sure what to expect, but he said he enjoyed experiencing the beauty of the nation and learning about the history of the school. “The people in the (surrounding) community realized how (much further) ahead (in education) these girls were than their children and how much better of an education they were getting … so a lot of the people in the community asked if they could bring their kids there and enroll their children,” Vinagro said. Young hopes to continue working with Antioch Christian School in the coming months through ENACTUS projects. For him, the most rewarding part of the trip was seeing God at work in the lives of children and families in the Amazon jungle.